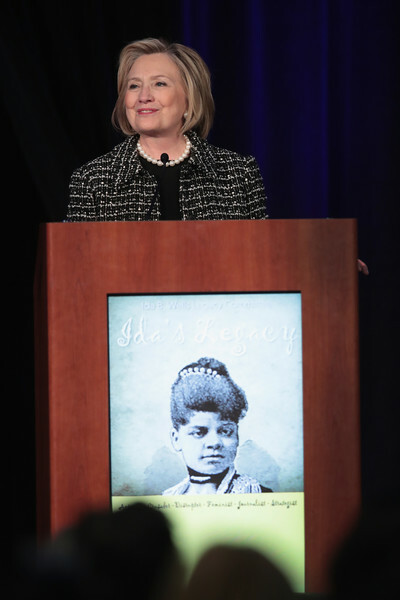 Hillary was the keynote speaker at this event today where she was honored with their award for carrying on the legacy of Ida B. Wells for whom the PAC is named. The committee works to assist progressive female African-American political candidates. 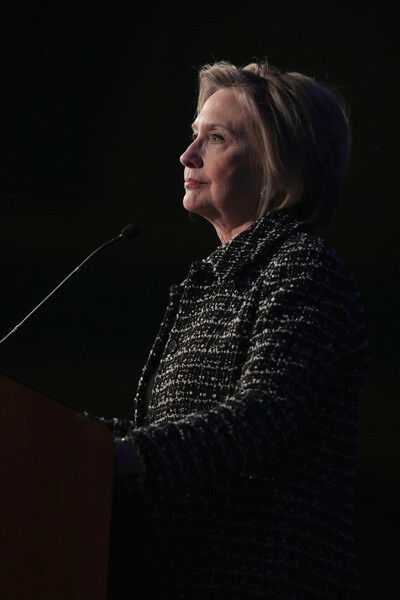 Hillary Rodham Clinton didn’t pull any punches on Thursday, telling a Chicago audience that in America today “truth, facts and reason” are under siege and “racist and white supremacist views” are finding an ear in the media and the White House. 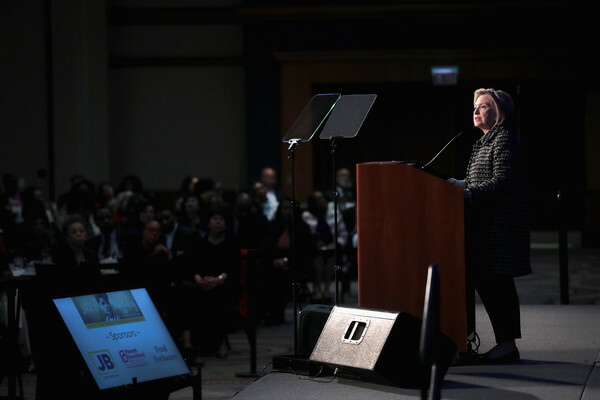 Clinton returned to her hometown to both receive an award and help raise money for a political action committee aimed at bolstering African-American women in politics — and to blast what she called the country’s “challenging times” in light of Donald Trump’s presidency. “We are living in challenging times. We’re living through a war on truth, facts and reason, watching as racist and white supremacist views are lifted up in the media and in the White House. 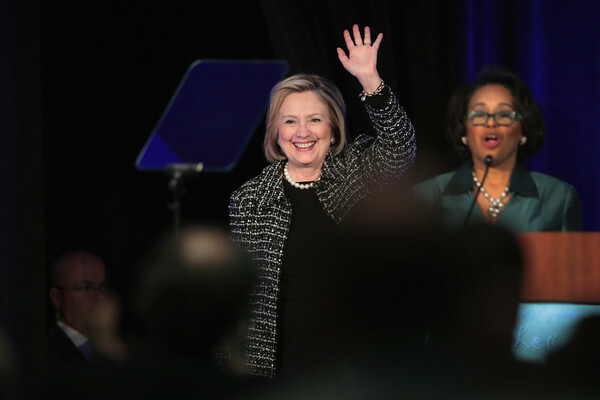 But despite it all, there are signs of hope and resilience and much of that is being led and shaped by black women like my dear friend [Congresswoman] Maxine Waters,” Clinton told hundreds at the Sheraton in Chicago. 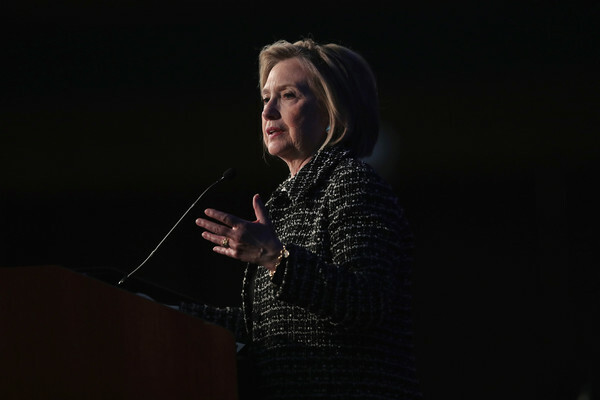 Clinton’s visit is a big nod to a group of voters who were some of her biggest and most unwavering supporters. 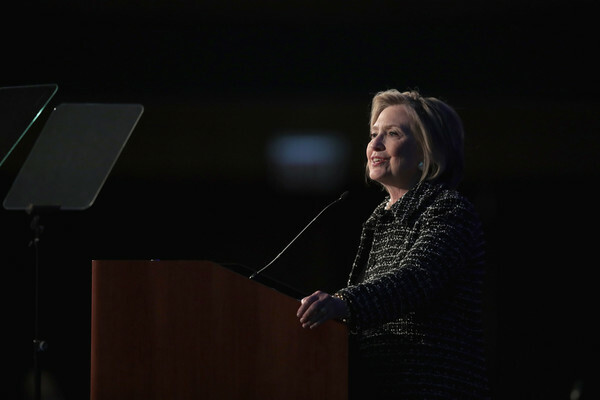 She last visited Chicago during a book tour last year. 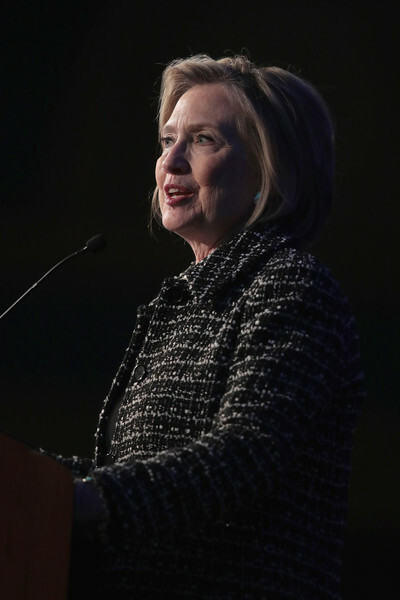 The Chicago native, former presidential candidate, first lady and secretary of state, spoke at the Ida B. Wells Legacy Luncheon. 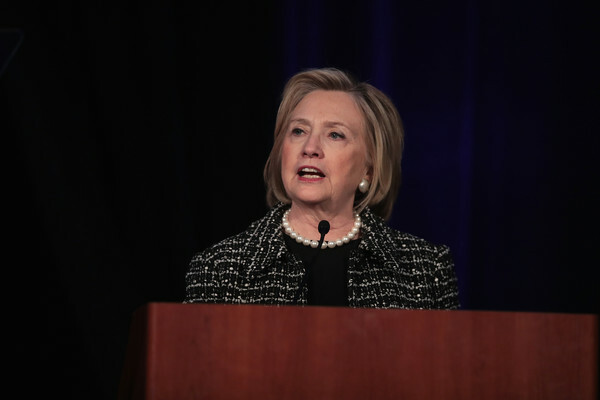 Clinton became the first recipient of the new PAC’s award for carrying on the legacy of Wells. 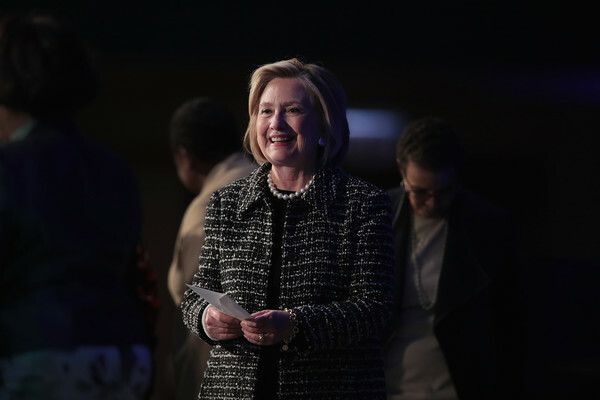 She was handed the award alongside former U.S. Sen. Carol Moseley Braun and former state Sen. Alice Palmer. Cook County Clerk David Orr, Cook County Commissioner and congressional candidate Jesus “Chuy” Garcia and Chicago Police Board President Lori Lightfoot were in attendance.